Geneva – Today (19/06), IOM, the UN Migration Agency, has launched a second release of its mobile application – MigApp – in French, Spanish and Arabic. 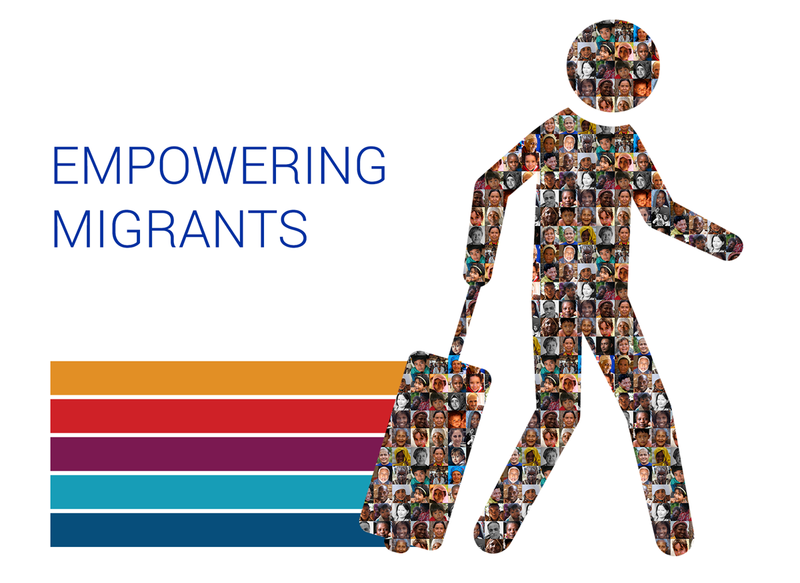 IOM’s MigApp gives migrants easy access to migration-related information and select IOM services. MigApp also helps migrants make informed decisions and allows IOM to reach a broader range of migrants by leveraging the latest mobile technology. "The French, Spanish and Arabic versions will allow IOM to significantly widen its scope by providing a reliable source of migration-related information and services to migrants in West Africa, the Americas and the Middle East," said Alex Dougan, MigApp Project Manager, from the organization’s Headquarters in Geneva. "When we developed MigApp, our goal was to help address the challenges encountered by migrants and displaced people. Given the widespread use of mobile phones, MigApp allows IOM to inform and support more migrants directly, a key part of the Organization’s mandate," he added. A list of key institutions in the United Kingdom and their contact details have also been added under the “Country Information” feature. Users can now find information on hospitals, clinics and more in the UK. Other updates include the addition of contact details for Country Medical Centres, and the operating hours of IOM Medical Centres when using the map under Medical Services feature. Additional Assisted Voluntary Return and Reintegration (AVRR) information has also been added to the app. MigApp aims to offset the volume of misinformation on migration circulating today by providing migrants with information on visas; health and travel regulations; alerts on global incidents arising from conflict or natural disasters; and contacts of counter-trafficking hotlines around the world. The first version of MigApp was released on 18 December 2017 as part of IOM’s transition to digital mobility. Mobile applications have created a new avenue of communication with migrants and new tools for IOM staff to conduct their work in remote areas.